While there are celebrations throughout the month of March, March 20th tops them off with three special and distinct things to celebrate. First, there is Proposal Day, which is a day that celebrates love, romance, and commitment. To help you celebrate it, our Memphis flower shop has a special website where you can get started on your wedding planning right away. The exclusive wedding flower website offers a gallery of wedding flower examples to help you plan. Then, there is the first day of spring and International Earth Day, both of which recognize the amazing wonders of Mother Nature. We are introducing our spring flower collection to help you bring some of that nature into your home, office, events, and gift-giving plans. 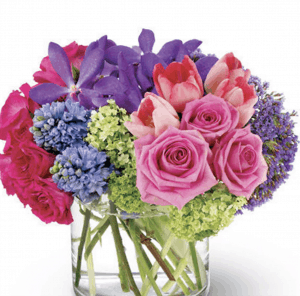 This spring bouquet highlights purple, pink, and green hues with a mix of spring flowers and greenery. 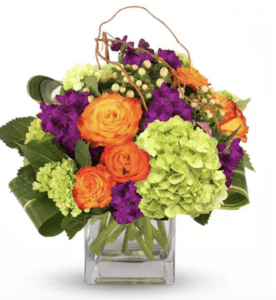 This bouquet welcomes the sunshine with bright colors and flowers like hydrangea, roses, stock, and other seasonal blooms and greenery. A fishbowl vase is filled with spring’s finest flowers and boldest colors, making it perfect for a special day to celebrate. 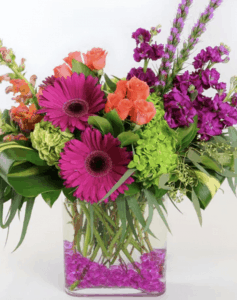 A colorful arrangement is featured and offers a bright spot to any table or desk. This spring floral display combines hues of pink and purple for a sublime and sweet way to start the spring season. See these spring flower arrangements and more at our Memphis flower shop or browse online through our website today!